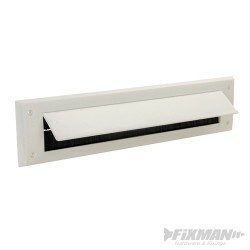 Plastic letterbox seal prevents draughts and can help in reducing energy bills. 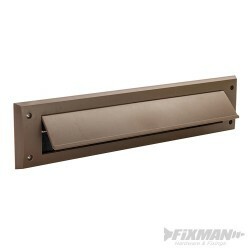 Provides barrier against dust and prevents people from looking through the letterbox. Easy to fit. Seals gaps at the bottom of doors, preventing draughts, dust and noise. Fits to most doors and used over carpets. Can help in reducing energy bills. Polypropylene bristles. Seals gaps at the bottom of doors, preventing draughts, dust and noise. 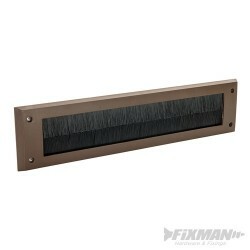 Fits to most doors and can be used over carpets. Can help in reducing energy bills. Polypropylene bristles. Seals gaps under garage doors preventing draughts, noise and dust from entering. Polypropylene bristles. 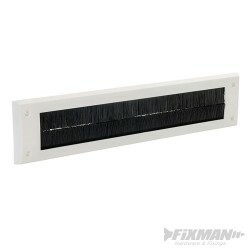 Aluminium brush strip fits garage doors to prevent draughts, dust and noise. Polypropylene bristles. 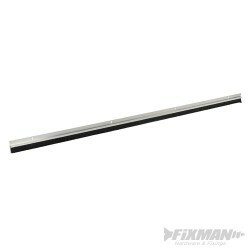 Seals gaps around doors, saving energy and money by reducing heat loss and preventing draughts. Can be fitted to most doors. 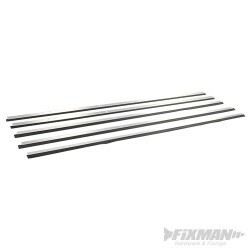 Includes 4 x 1029mm and 1 x 914mm.